Border intrusion: Chief Ministers of Assam, Mizoram hold talks amid clashes, MHA seeks reports - Integration Through Media ....! HAILAKANDI/AIZAWL: Amid clashes between the Assam Police and Mizoram protesters over the disputed border, chief ministers of the two states today held telephonic talk even as the Union home ministry sort reports on the incidents. Meanwhile, the MZP members withdrew from the areas where the clashes occurred between the protesters, mainly com,prising students, of Mizoram and security forces in Assam, this evening. Mizoram students' bodies demanded that Assam Police personnel leave the disputed area by tomorrow. The Mizoram Police alleged that a student from the state was injured in firing on a group of students by the Assam Police at Zopui. The Assam Police denied the charge and claimed that the protesters were only pushed back when they tried to intrude into the state. On March 8, protesters from Mizoram attempted to “intrude” into Hailakandi district of Assam and the Assam Police stopped them. The Hailakandi administration had yesterday clamped prohibitory orders under section 144 of the CrPC in certain areas apprehending encroachment attempts from the other side. 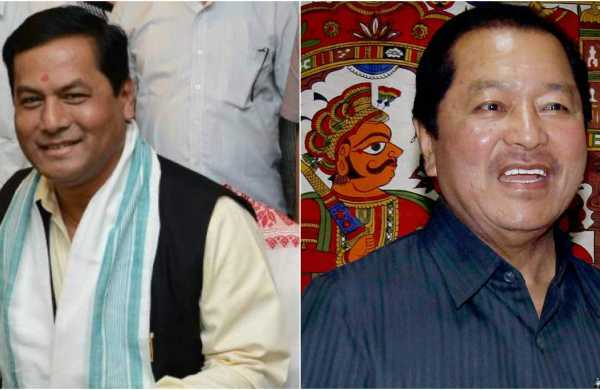 As tension mounted at the border, Chief Ministers of Mizoram and Assam, Lal Thanhawla and Sarbananda Sonowal respectively, held talks over phone. Sonowal suggested that both the sides should withdraw from the disputed area, a statement by the Mizoram government said. Mizoram Chief Secretary Arvind Ray also contacted his Assam counterpart V K Pipersenia and both the sides agreed to hold talks on the border dispute, it said. But did not specify the date for it, the statement said. The Centre asked Assam and Mizoram governments to ensure peace along their border, enforce prohibitory orders by deploying forces wherever necessary, a Home Ministry official said in New Delhi. The Union home ministry also sought reports from the two states about the incidents and the steps being taken to normalise the situation. Assam and Mizoram have a long-standing boundary dispute and there had been tension in the Hailakandi-Kolasib region several times in the past. The Mizoram Police said besides a student who suffered bullet injury, several other members of the Mizo Zirlai Pawl (MZP), the Mizo apex students body, were also injured when security forces in Assam resorted to lathicharge at Zopui locality near Bairabi town in Kolasib district. The MZP claimed that its members were trying to construct a rest house on the land of the late Ch Chhunga, first chief minister of the state, at Zopui in Kolasib district, adjacent to Hailakandi district of Assam. Assam's Hailakandi district Deputy Commissioner Adil Khan, however, said, “We have acted with utmost restraint and applied minimum force to push back the MZP members when they intruded into Assam's territory. Claiming that no excesses were committed by the district administration on the MZP activists, Khan said there is no report of any injury to anyone. The Mizoram Police said student activists have been camping in the area to construct the rest house called 'Zofate Chawlhbuk' since March 8 where a large number of Assam's India Reserve Battalion were deployed to prevent them from doing so. Meanwhile, various Mizoram students' bodies demanded that Assam Police personnel leave the disputed area by tomorrow. The demand came after the Mizo Students Union, the Aizawl City College Joint Students Union and clan-based student bodies held a meeting here. However, the students' bodies did not mention what action they would take if their demand was not met. Opposition parties in Mizoram condemned Chief Minister Lal Thanhawla of failure to protect the state's territory.